I'm back with another haul! This one is from several months ago, but I wanted to still give you info about this product. 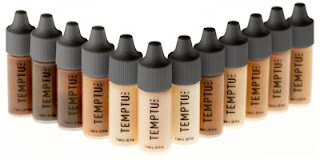 I use Temptu Dura airbrush foundation in my kit and I definitely consider it to be a must-have for covering tattoos and body coverage in general. When I work on brides, I do a lot of body touch up. This can range from acne marks on the body, to tattoos or stretch marks. I've found that the best option for body coverage is alcohol based airbrush makeup. I prefer Temptu Dura Airbrush Makeup. 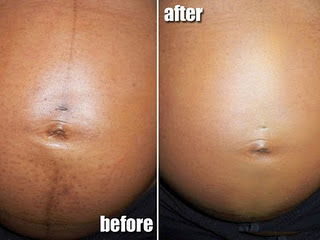 You've seen me use the product in my Airbrush Pregnant Belly: Before and After post. The great thing about this makeup, is that you can build layers of coverage easily. This is in contrast with applying traditional cream foundation/concealer. Trying to apply layer upon layer of traditional makeup can sometimes remove coverage when you're using brush or sponge strokes. With airbrush, you're never touching the skin with a tool, so you can easily add more and more layers without taking anything away. Better yet, the makeup is completely smudge-free. It won't rub off on precious wedding gowns and the coverage should last a few days. I usually set the makeup with a translucent powder so that it's not sticky. If the client wants the makeup to last a few days, i.e. into their honeymoon, they need to avoid putting lotion or any oily substances on the area that is covered. You can take showers as normal but no excessive scrubbing on the covered area. What I like to do is buy the mini sets for my kit. It saves space, you have all the colors you need, and you only need a few drops per client. Then I buy the larger 1 oz containers show above and refill them. 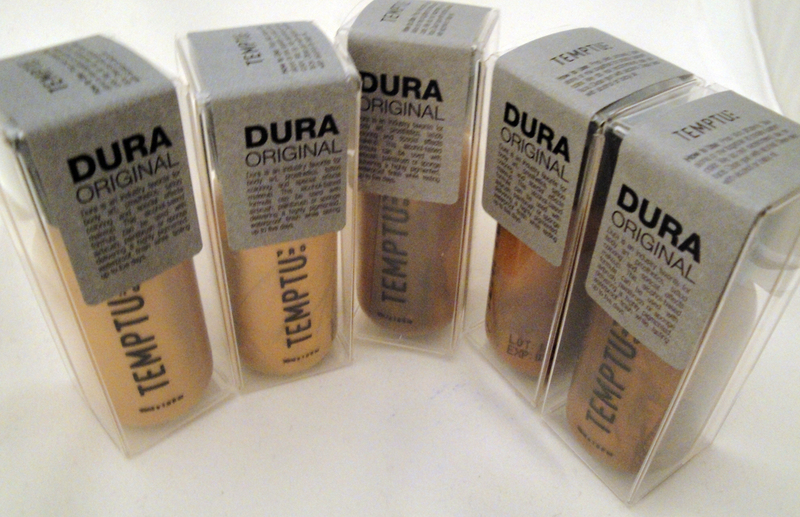 This mini set is the Temptu Dura Dark Skin Set. 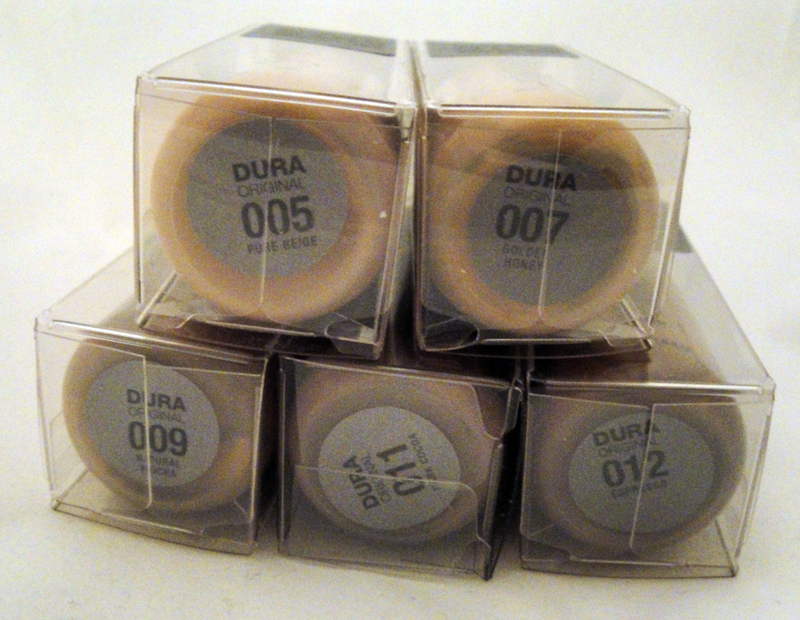 It has great body shades as well as some correctors. If your makeup seems to be separating in the tube, this is completely normal. Just shake it up before using it in your airbrush machine and you're good to go. 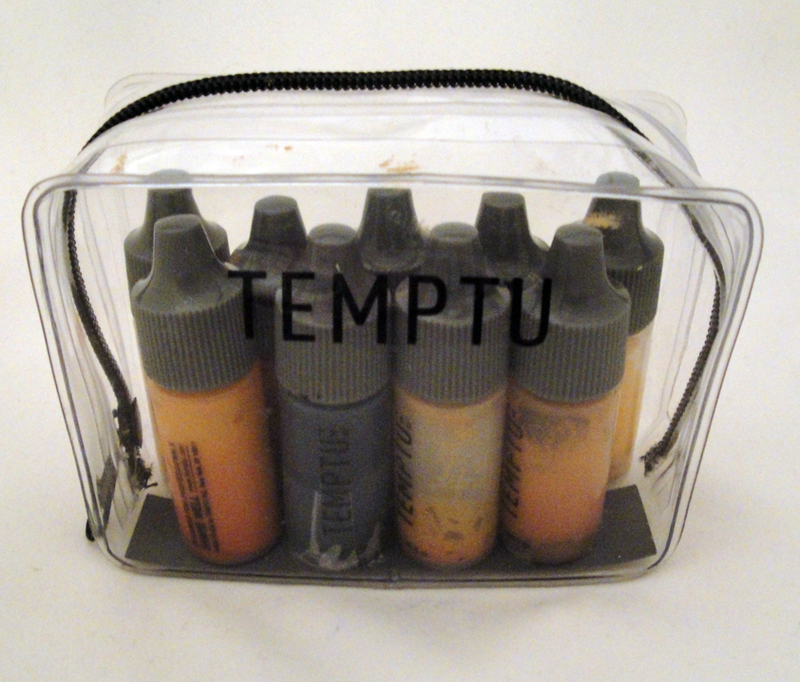 You can find these products at www.temptupro.com. Hope this was helpful! Do you all use airbrush makeup for body coverage? Let me know in the comments below! 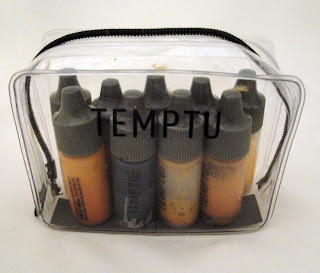 Do you use this with the temptu compressor?